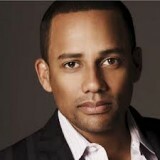 Home » Capital Cause In The News » Hill Harper Promotes Young Philanthropy! Hill Harper Promotes Young Philanthropy! Heard about this too late, but I am glad to see that more organizations are taking social media seriously.